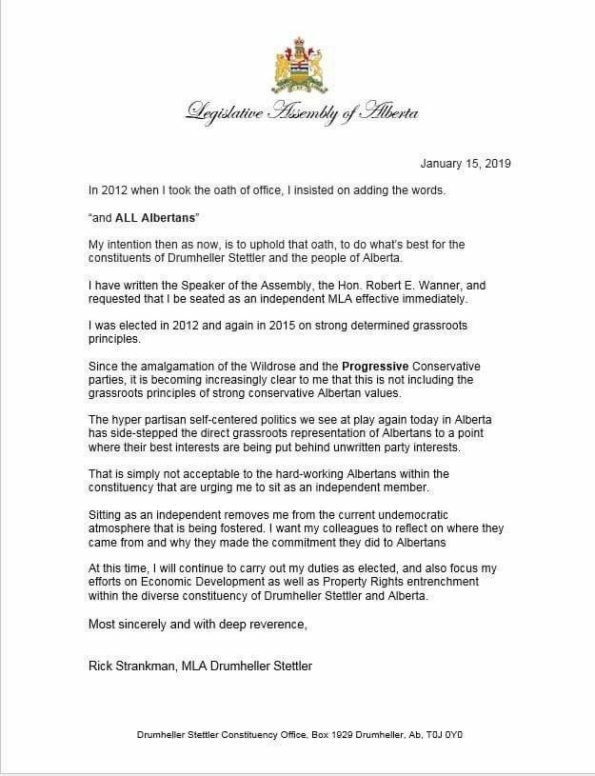 Two-term Drumheller-Stettler MLA Rick Strankman has left the United Conservative Party and will sit as an Independent MLA if the Legislative Assembly returns before the next election. Strankman was the first incumbent MLA to lose his party’s nomination in this election cycle when he went down to defeat at the hands of Pollockville rancher and political family scion Nate Horner in an October 2018 nomination contest. Despite endorsements from six of his caucus colleagues, Strankman was unable to fend off this nomination challenge. Horner defeated Strankman by a margin of 969 votes to 740. 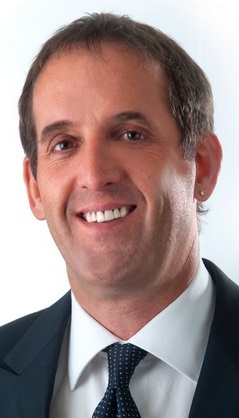 Strankman was first elected in 2012 as a Wildrose Party candidate, defeating Progressive Conservative Minister of Tourism, Parks and Recreation Jack Hayden by 865 votes. He was re-elected in 2015 in a rematch with Hayden, that time widening his margin of victory to 2,182 votes. 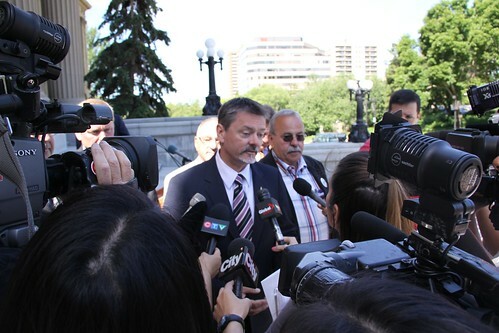 Strankman was one of five Wildrose MLAs not to cross the floor to the PCs in 2014. Following his nomination defeat in 2018, there was speculation that Strankman could have sought the nomination to run in Drumheller-Stettler as a candidate with Strathmore-Brooks MLA Derek Fildebrandt’s right-wing Freedom Conservative Party. His decision to instead sit as an Independent MLA is not a great endorsement of Fildebrandt’s new party, which has already attracted the attention of another former Wildrose MLA, Joe Anglin. It is not clear whether Strankman plans to seek re-election as an Independent candidate in 2019. In 2015, Strankman introduced the Election (Restrictions on Government Advertising) Amendment Act, into the Assembly. The private members’ bill would have restricted the ability of government to make announcements and advertise during of election and by-election periods. The bill died on the order paper when it was referred to the Select Special Ethics and Accountability Committee. 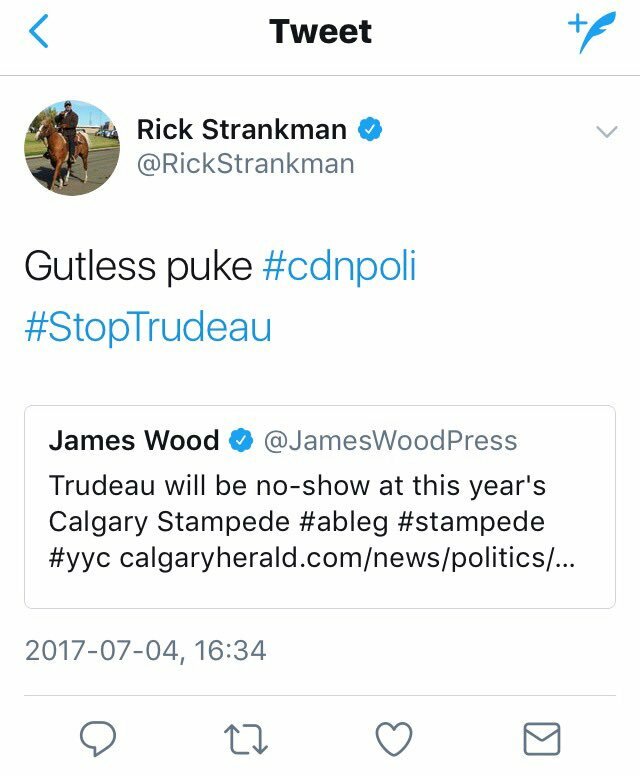 In 2016, Strankman was twice forced to apologize after penning an article comparing Alberta’s carbon tax to the Holodomor, the Ukrainian genocide of the 1930s which killed between 3.3 to 7.5 million people. He has also publicly questioned the science of climate change. He is perhaps most well-known for being jailed in 2002 after being charged under the Customs Act for taking 756 bushels of wheat across the American border in protest of the Canadian Wheat Board. He was later pardoned by Prime Minster Stephen Harper. Strankman is the sixth MLA to leave the UCP since it was formed in the summer of 2017. He endorsed Jason Kenney in the 2017 UCP leadership contest. His departure comes days after former WIldrose and Progressive Conservative MLA Ian Donovan announced he was leaving the UCP, citing “dictatorship”-like control by Kenney and central party officials. 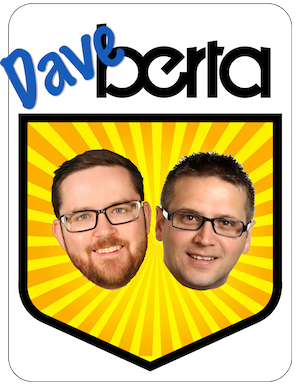 Listen and subscribe to the latest episode of the Daveberta Podcast on Apple Podcasts, Google Play, Stitcher, or wherever you find podcasts online. We would love to hear what you think of this episode, so feel free to leave a positive review where you download, comment on the blog, Facebook or Twitter or send us an email at podcast@daveberta.ca. This entry was posted in Alberta Politics and tagged Aberta PC Party, Alberta Election 2019, Alberta Election Candidate Nominations, Bill 203: Election (Restrictions on Government Advertising) Amendment Act, Canadian Wheat Board, Candidate nominations, Carbon Tax, Derek Fildebrandt, Drumheller-Stettler, Freedom Conservative Party, Gutless Puke, Holodomor, Ian Donovan, Jack Hayden, Jason Kenney, Joe Anglin, Justin Trudeau, Nate Horner, Rick Strankman, Select Special Ethics and Accountability Committee, Stephen Harper, Strathmore-Brooks, United Conservative Party, Wildrose Party on January 15, 2019 by Dave Cournoyer. The Alberta Association of Municipal Districts and Counties approved a resolution opposing the recommendations included in the final report of the Electoral Boundaries Commission this week at their annual meeting in Edmonton. The organization representing municipal districts and counties opposes the dissolution of three rural districts and is calling for an amendment to Section 13 of the Electoral Boundaries Commission Act. A press release issued by the AAMDC states the organization has no issue with the creation of new urban seats to support the significant growth in the urban centres, but feels strongly these seats should not be created at the expense of rural Alberta. Section 13 of the Electoral Boundaries Commission Act limits the number of districts represented in Alberta’s Legislative Assembly to 87. Presumably, the AAMDC would like to see an increase to the total number of MLAs in order to offset the loss of rural representation in the Assembly. 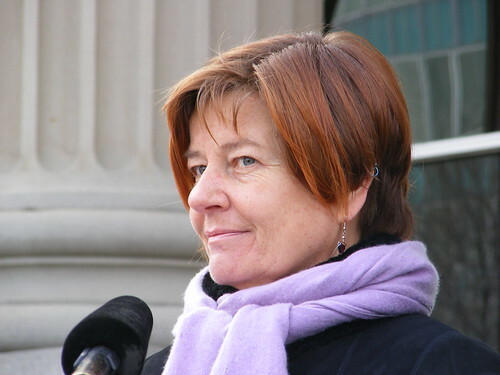 In 2010, then-Justice Minister Alison Redford introduced Bill 28: Electoral Division Act, which increased the total number of electoral districts represented in the Legislature from 83 to 87. It was widely believed that this increase was an attempt to quell political opposition to any decrease in rural representation by the large caucus of rural Progressive Conservative MLAs. 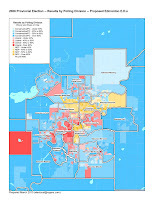 The Commission’s final report recommends the creation of three new urban districts to reflect significant population growth in urban municipalities such as Airdrie, Calgary, Chestermere, Cochrane, Edmonton and Spruce Grove. The report’s recommendations also reflect the considerable growth of suburban and acreage communities in counties surrounding these urban areas. While most areas of the province have experienced some level of population growth since the last time electoral boundaries were redrawn in 2011, some rural areas east of Red Deer and in east central Alberta have experience a decline in population. The elimination of rural districts will result in geographically larger rural districts. This will pose increased challenges to MLAs who will need to represent more sprawling and geographically diverse constituencies, but the elimination of rural districts is inevitable unless their populations increase at a rate larger than the growing urban areas. Rural Alberta has experienced a significant decline in electoral representation over the past fifty years, partly due to population growth in the urban centres but mostly due to the gradual elimination of intentional political gerrymandering of electoral districts, which created a lopsided over-representation of rural MLAs in the Assembly. In the 1967 election, rural Albertans were 31 percent of the population but rural areas represented 44 of 63 electoral districts in the province. That rural overrepresentation declined only slightly in the 1971 election, when rural Albertans represented 27 percent of the population and 42 of 75 electoral districts. The blatant overrepresentation of rural areas over the province’s growing urban areas continued under the old PC government until at least the mid-1990s. 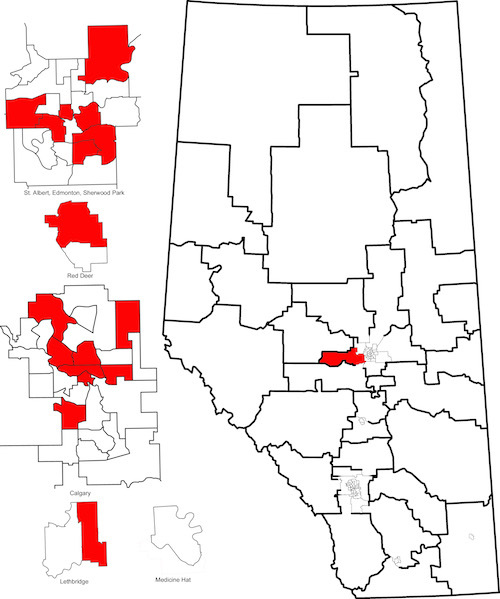 Rural gerrymandering was once a hallmark of Alberta’s political history, but recent Electoral Boundary Commissions worked to equalize representation of rural and urban areas in the Assembly. When the Commission’s final report is introduced for debate in the Assembly, which could happen in the coming weeks, we can expect the United Conservative Party caucus to oppose many of the recommended changes. While there are legitimate concerns with some of the boundary changes impacting rural areas, the UCP will use the report’s recommendations to attack the urban-based New Democratic Party, which is already unpopular in rural Alberta. Unlike the PC caucus in 2010 and the UCP caucus in 2017, the governing NDP caucus is largely composed of MLAs representing urban districts in Calgary, Edmonton, Red Deer and Lethbridge. The relatively small rural NDP caucus, which includes Children’s Services Minister Danielle Larivee, Energy Minister Marg McCuaig-Boyd, Municipal Affairs Minister Shaye Anderson, Agriculture Minister Oneil Carlier and Economic Development Associate Minister Jessica Littlewood, does not have the numerical leverage over their colleagues that rural caucuses have had in the past. The decreasing influence of rural MLAs in Alberta governments since 2012, when the Wildrose Party swept into opposition, led the AAMDC to find itself sitting on the outside of political power for the first time in decades. For many years, the AAMDC was known in political circles as the PC Party’s “farm team,” because many rural politicians had used the organization as a springboard in attempts to win PC candidate nominations (including current president Al Kemmere and former county reeves Jack Hayden, Ray Danyluk and Ed Stelmach). The PCs under Redford’s leadership struggled to communicate rural interests in government and it is unclear if the current NDP government even has much of a rural agenda. This week’s announcement from Shaye Anderson that the government will provide a tax credit for uncollectible education property taxes on defunct oil and gas properties, known as orphan wells, should be popular among rural municipal leaders. But previous transgressions, like the fumbled passage of Bill 6 and the phase-out of coal-fired power plants early in the NDP’s term in government created significant resentment in rural areas. These issues will pose a major challenge for NDP MLAs seeking re-election in rural districts in the 2019 election. This entry was posted in Alberta Politics and tagged Al Kemmere, Alberta Association of Municipal Districts and Counties, Alberta NDP, Alison Redford, Bill 28: Electoral Division Act, Bill 6: Enhanced Protection for Farm and Ranch Workers Act, Coal-fired power plants, Danielle Larivee, Ed Stelmach, Electoral Boundaries Commission Act, Jack Hayden, Jessica Littlewood, Marg McCuaig Boyd, Oneil Carlier, Orphan Wells, Ray Danyluk, Shaye Anderson, United Conservative Party on November 16, 2017 by Dave Cournoyer. Alberta’s provincial cabinet grew from twelve to thirteen today with the appointment of Lesser Slave Lake MLA Danielle Larivee to the posts of Minister of Municipal Affairs and Service Alberta. Ms. Larivee takes over those roles from Deron Bilous. Mr. Bilous, one of the four NDP MLAs elected before this year’s orange chinook swept across Alberta, is now the Minister of Economic Development and Trade, a new department created from elements of the Ministry of Advanced Education and Innovation and International and Intergovernmental Affairs. With Finance Minister Joe Ceci scheduled to table the provincial budget in the Legislative Assembly on Oct. 27, the creation of this new ministry is meant to send a message about the importance of job creation and economic diversification. It was announced today that the budget will also include an “economic development plan” that will help provide some direction for this initiative. The provincial budget is expected to include significant investment in public infrastructure and job creation projects to compensate for the loss of jobs caused by the drop in the international price of oil. The appointment of a rural northern Alberta MLA to cabinet has already generated complaints from some Calgary-based pundits. Only four of thirteen cabinet ministers represent constituencies south of Edmonton, including Finance Minister Joe Ceci, Justice Minister Kathleen Ganley and Environment Minister Shannon Phillips. Over the course of its 44 years in power, the old Progressive Conservative government was led by Calgarians for more than three decades – Premiers Peter Lougheed (1971 to 1985), Ralph Klein (1992 to 2006), Alison Redford (2011-2014) and Jim Prentice (2014-2015). It is suspected that former Alderman Bob Hawkesworth would have been appointed to cabinet as Minister of Municipal Affairs if he had won a September by-election in the Calgary-Foothills riding. If this is true, Calgarians can rightfully ask why one of the other eleven NDP MLAs in Calgary wasn’t appointed to cabinet. But they would be mistaken to believe they are the only group the provincial government is trying to represent. As an MLA representing a large rural constituency, Ms. Larivee’s appointment to the Municipal Affairs post is more likely a tip of the hat to the Alberta Association of Municipal Districts and Counties. An incredibly well-connected lobby group during the PC Party’s time in power, the AAMDC has found itself sitting on the outside of political power for the first time in decades. The group was known in political circles as the PC Party’s “farm team,” because many of its officials have used the group as a springboard in attempts to win PC candidate nominations (including current president Al Kemmere and former cabinet minister Jack Hayden). As a registered nurse who worked in a community health care setting, Ms. Larivee will understand some of the challenges facing the rural and remote communities represented by the AAMDC. It just so happens that Ms. Larivee’s new job starts a month before her first large event as minister – the AAMDC’s annual general meeting on November 17 and 18. 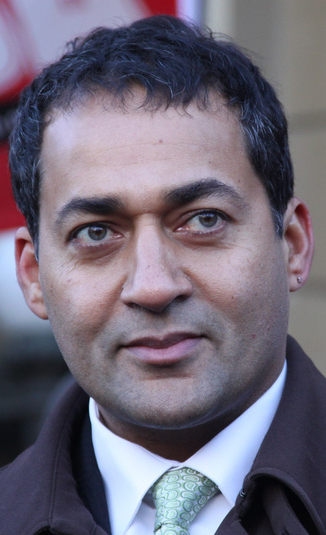 Irfan Sabir (Calgary-McCall) – Human Services. 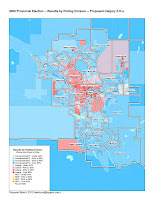 This entry was posted in Alberta Politics and tagged Al Kemmere, Alberta Association of Municipal Districts and Counties, Alberta Cabinet, Alberta NDP, Alison Redford, Bob Hawkesworth, Calgary-Foothills by-election, Danielle Larivee, Deron Bilous, Jack Hayden, Jim Prentice, Joe Ceci, Kathleen Ganley, Peter Lougheed, Prasad Panda, Rachel Notley, Ralph Klein, Shannon Phillips, Tory Farm Team on October 22, 2015 by Dave Cournoyer. With a provincial election expected to be called in the coming weeks, Alberta’s political parties are pushing to nominate their slates of candidates. Not surprisingly, the governing Progressive Conservatives are close to choosing candidates in all 87 constituencies. At fifty-one, the NDP have the second largest number of candidates nominated for the next election. Map of nominated and acclaimed PC candidates (as of March 23, 2015). The PC Party has nominated 77 76 candidates, leaving only 10 remaining constituencies to choose candidates. Driving school owner Gurcharan Garcha defeated two-term MLA Peter Sandhu to win the PC nomination in Edmonton-Manning. Mr. Sandhu, who was briefly removed from the government caucus after facing allegations of conflict of interest, is the first incumbent PC MLA to lose a nomination in 2015. Another candidate, Manpreet Gill, was originally contesting the nomination but does not appear to have been named in the final vote. Controversial MLA David Xiao survived a strong challenge from party activist Amanda Nielson to win the PC nomination in Edmonton-McClung. Other recently nominated PC candidates include Blake Prior in Battle River-Wainwright, Jeff Wilson in Calgary-Shaw, former MLA Jack Hayden in Drumheller-Stettler, Rhonda Clarke-Gauthier in Dunvegan-Central Peace-Notley, Harman Kandola in Edmonton-Beverly-Clareview, Gene Zwozdesky in Edmonton-Mill Creek, Shelley Wegner in Edmonton-Strathcona, Darrell Younghans in Lac La Biche-St. Paul-Two Hills, Wade Bearchell in Olds-Didsbury-Three Hills, Christine Moore in Red Deer-North, Darcy Mykytyshyn in Red Deer-South, Cathy Olesen in Sherwood Park, and Ken Lemke in Stony Plain, Molly Douglass in Strathmore-Brooks. UPDATE: Former cabinet minister Naresh Bhardwaj has withdrawn his candidacy in Edmonton-Ellerslie. The second-term PC MLA resigned as Associate Minister for Persons with Disabilities this month pending an investigation by the PC Party into allegations of bribery in his constituency’s nomination contest. Metro Edmonton first reported that a party member publicly accused Mr. Bhardwaj of offering him, through another person, a $10,000 bribe in return for recanting his support for candidate Balraj Manhas. Map of nominated and acclaimed NDP candidates (as of March 23, 2015). The NDP have nominated candidates in fifty-two constituencies, the most of any opposition party. Recent nominations and acclamations include Chris Noble in Airdrie, Tristan Turner in Barrhead-Morinville-Westlock, Kathleen Ganley in Calgary-Buffalo, Catherine Wellburn in Calgary-Elbow, Anam Kazim in Calgary-Glenmore, Chris McMillan in Calgary-Mountain View, Aaron Haugen in Cardston-Taber-Warner, and Erin Babcock in Stony Plain. Candidates who have recently announced their intentions to seek nominations are: Gordon Naylor in Battle River Wainwright, Josalyne Head in Bonnyville-Cold Lake, Christina Gray in Edmonton-Mill Woods, Leslie Mahoney in Highwood, and Hannah Schlamp in Rimbey-Rocky Mountain House-Sundre. The following candidates are seeking the NDP nominations at a five-constituency joint nomination meeting on March 31, 2015: Jill Moreton in Calgary-Fish Creek, Don Monroe in Calgary-Greenway, Danielle Nadeau McMillian in Calgary-Hawkwood, Ryan Wick in Calgary-MacKay-Nose Hill, and Karen Mills in Calgary-North West. Map of nominated and acclaimed Wildrose candidates (as of March 23, 2015). The Wildrose Party have at least forty candidates nominated and appear to have opened nominations in all remaining 47 constituencies. Recently nominated candidates include Glenn van Dijken in Barrhead-Moriville-Westlock, Wes Taylor in Battle River-Wainwright, Trevor Grover in Calgary-Bow, Mark Smith in Drayton Valley-Devon, Donald MacIntyre in Innisfail-Sylvan Lake, Val Olson in Medicine Hat and Norman Wiebe in Red Deer-North. Map of nominated and acclaimed Alberta Party candidates (as of March 23, 2015). The Alberta Party has nominated 28 candidates across Alberta (including MLA Laurie Blakeman in Edmonton-Centre). Some of the more recently no mated candidates include: Alison Wemyss in Calgary-Fish Creek, Owais Siddiqui in Edmonton Beverly-Clareview, Derek Christensen in Fort Saskatchewan-Vegreville, John Stewart in Leduc-Beaumont, Trevor Love in St. Albert, Krystal Kromm in Red Deer North, Serge Gingras in Red Deer South and Rob Fox in Bonnyville-Cold Lake. Map of nominated and acclaimed Liberal candidates (as of March 23, 2015). The Liberals have nominated candidates in at least nineteen constituencies. 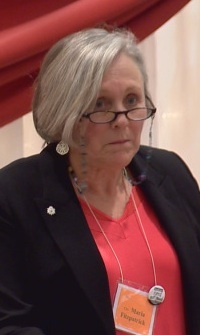 Former Liberal Party President and Ontario NDP MPP Shelley Wark-Martyn was chosen to represent the Liberal Party candidate in Calgary-Currie. Also recently nominated are Ronald Brochu in Edmonton-Gold Bar, Adam Mounzer in Edmonton-Manning, Michael Dawe in Red Deer-North, and Mike Hanlon in Stony Plain. Following the lead of Ms. Blakeman, Mr. Dawe plans to seek the Green Party nomination in Red Deer-North. Map of nominated and acclaimed Green Party candidates (as of March 23, 2015). The Greens have nominated candidates in ten constituencies across Alberta (including MLA Laurie Blakeman in Edmonton-Centre). Nominated Green candidates are David Reid in Calgary-Bow, Janet Keeping in Calgary-Foothills, Polly Knowlton Cockett in Calgary-Hawkwood, Noel Keough in Calgary-Klein, Sandy Aberdeen in Calgary-Mackay-Nose Hill, Carl Svoboda in Calgary-Varsity, David Parker in Edmonton-Gold Bar and Alison Anderson in Fort Saskatchewan-Vegreville. This entry was posted in Alberta Politics and tagged Aaron Haugen, Anam Kazim, Balraj Manhas, Blake Prior, Catherine Wellburn, Cathy Olesen, Chris McMillan, Chris Noble, Christina Gray, Christine Moore, Danielle Nadeau McMillian, Darcy Mykytyshyn, Darrell Younghans, David Xiao, Don Monroe, Donald MacIntyre, Erin Babcock, Gene Zwozdesky, Glenn van Dijken, Gurcharan Garcha, Hannah Schlamp, Harman Kandola, Jack Hayden, Jeff Wilson, Jill Moreton, Josalyne Head, Karen Mills, Kathleen Ganley, Ken Lemke, Leslie Mahoney, Mark Smith, Molly Douglass, Naresh Bhardwaj, Norman Wiebe, Peter Sandhu, Rhonda Clarke-Gauthier, Ryan Wick, Shelley Wegner, Trevor Grover, Tristan Turner, Val Olson, Wade Bearchell, Wes Taylor on March 23, 2015 by Dave Cournoyer. With the four provincial by-elections over, the focus will soon turn back to nominating candidates to stand in Alberta’s next general election. The next election is scheduled to be held sometime between March 1 and May 31, 2016, but can be called earlier if premier requests the Lieutenant Governor to issue a writ of election. The Wildrose Party and the New Democrats are the first out of the starting gate with the most nominated candidates and nomination contests currently underway. Two defeated Progressive Conservatives MLAs are not ruling out a return to politics in the next election. Former Cypress-Medicine Hat PC MLA Len Mitzel, who was defeated by Wildrose candidate Drew Barnes in 2012, told the Medicine Hat News he has not ruled out a comeback in 2016. And in Drumheller-Stettler, former Infrastructure Minister and registered lobbyist Jack Hayden is said to be mulling a 2016 bid. Mr. Hayden was unseated by Wildroser Rick Strankman in 2012. Accountant Scott Cyr and architect Dixie Dahlstedt are facing off for the Wildrose Party nomination. 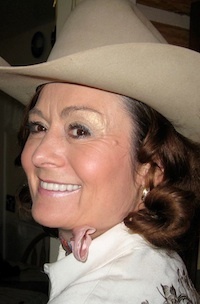 Ms. Dahlstedt is a Daughter of the American Revolution who recently returned from a career in New York City to raise quarter-horses near Therrien, Alberta. The Wildrose nomination in this west Calgary constituency has been set aside as a open spot for a candidate to be appointed by leader Danielle Smith. 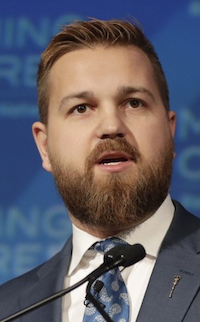 Rumours have been circulating for some time that Ms. Smith is working hard to recruit Canadian Taxpayer Federation spokesperson Derek Fildebrandt as the Wildrose candidate in Calgary-Bow. Mr. Fildebrandt is an outspoken critic of the PC Government and has targeted Premier Jim Prentice with FOIP requests dating back to his time in Ottawa. 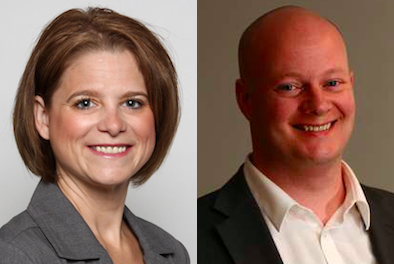 Both Alberta Party leader Greg Clark and Liberal candidate Susan Wright have declared their intentions to seek their parties nominations to run in the next provincial election. In the recent by-election held on Oct. 27, Mr. Clark placed a close second with 26.94% of the vote. Ms. Wright placed fourth with 11.99%. 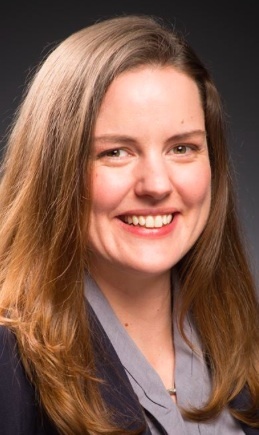 On September 30, Heather Sweet was acclaimed as the NDP candidate in this northeast Edmonton constituency. Ms. Sweet is a registered social worker working in child protection and is member of the Alberta Union of Provincial Employees’ Committee On Political Action. The NDP are holding a nomination meeting on November 5, 2014 in this southwest Edmonton constituency. Former City Council candidate and social work instructor Richard Feehan and 2012 candidate Melanie Samaroden are running for the nomination. Construction company manager Greg Tymchyna is seeking the Wildrose Party nomination in this northwest Alberta constituency. Now living in Grande Prairie, Mr. Tymchyna is also a homeowner in High River, where he is part of a legal battle seeking more compensation from the provincial government for flood damaged homes. Registered Nurse Danielle Larivee has been nominated as the NDP candidate in this rural northern Alberta constituency. Ms. Larivee is the President of the United Nurses of Alberta Local in Slave Lake. Kris Hodgson has tweeted his plans to seek the New Democratic Party nomination in this southern Alberta urban constituency. Mr. Hodgson is a Lethbridge College journalism instructor and president of Allied Arts Council. Earlier in the summer, Lethbridge College political scientist and former city councillor Faron Ellis declared his candidacy for the Wildrose Party nomination. The NDP are holding a nomination meeting on November 12, 2014. Paramedic Jason Soklofske is expected to be acclaimed. Mr. Soklofske is a southern representative with the Health Sciences Association of Alberta and, according to his online biography, chairs that union’s political action committee. 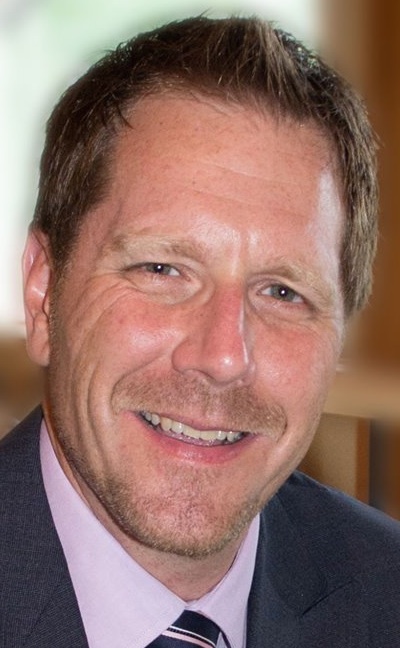 Businessman Brian Tiessen defeated Strathcona County Councillor Vic Bidzinski to become the Wildrose Party candidate in this constituency east of Edmonton. Mr. Bidzinski’s political past, as a Liberal candidate in the 1997 federal election, drew confused reactions from some local Wildrose supporters. 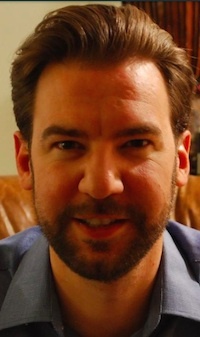 Stuart Taylor was acclaimed as the Wildrose Party candidate in West Yellowhead. As the party’s candidate in the 2012 election, Mr. Taylor placed second with 26.91%. The constituency is currently represented by Finance Minister Robin Campbell, who was first elected in 2008. This entry was posted in Alberta Politics and tagged 2016 Alberta Election, Alberta Union of Provincial Employees, Bonnyville-Cold Lake, Brian Tiessen, Calgary-Bow, Calgary-Elbow, Canadian Taxpayers Association, Candidate nominations, Cypress-Medicine Hat, Danielle Larivee, Danielle Smith, Derek Fildebrandt, Dixie Dahlstedt, Drew Barnes, Drumheller-Stettler, Edmonton-Manning, Edmonton-Rutherford, Faron Ellis, Grande Prairie-Smoky, Greg Clark, Greg Tymchyna, Health Sciences Association of Alberta, Heather Sweet, High River Floods, Jack Hayden, Jason Soklofske, Jim Prentice, Kris Hodgson, Len Mitzel, Lesser Slave Lake, Lethbridge College, Lethbridge-East, Medicine Hat, Melanie Samaroden, Richard Feehan, Rick Strankman, Robin Campbell, Scott Cyr, Sherwood Park-Strathcona, Stuart Taylor, Susan Wright, United Nurses of Alberta, Vic Bidzinski, West Yellowhead on November 5, 2014 by Dave Cournoyer. who are they? meet alberta’s wildrose official opposition. When Alberta’s Legislative Assembly reconvenes in the next few months, for the first time since 1982 the title of Official Opposition will given to a caucus of MLA’s representing a party other than the New Democrats or the Liberals. 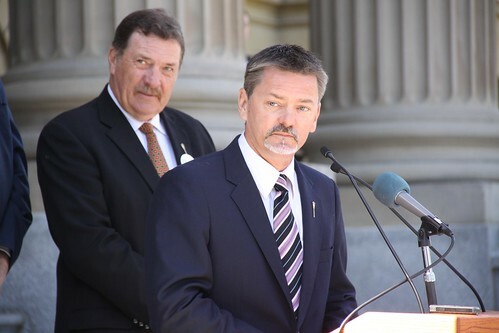 Following the April 23 general election, seventeen Wildrose Party MLA’s were elected, creating the largest Official Opposition caucus since 1997 (when eighteen Liberal MLA’s were elected). Wildrose MLA's Heather Forsyth, leader Danielle Smith, and Rob Anderson in January 2010. 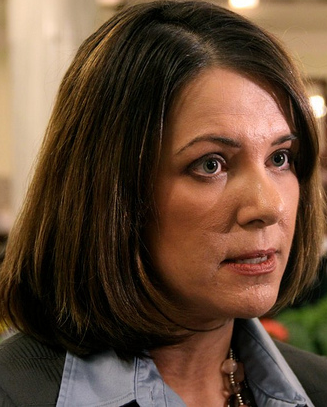 Aside from high-profile leader Danielle Smith, who was elected in Highwood, most Albertans would probably respond with blank stares if asked to name another Wildrose MLA. Over the past week, I have read biographies and scoured the internet for information about the MLA’s who, for at least the next four years, have been tasked with the responsibility of being Her Majesty’s Loyal Opposition in Alberta. Only two of the four incumbent Wildrose Party MLA’s were re-elected last week. Paul Hinman, who was narrowly elected in a 2009 by-election was soundly defeated by PC candidate Linda Johnson in Calgary-Glenmore. 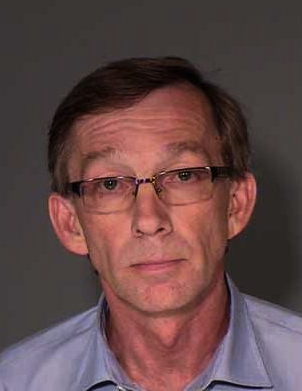 In Fort McMurray-Wood Buffalo, four-term MLA Guy Boutilier, who crossed the floor to the Wildrose in 2010 after sitting for 12 years as a Progressive Conservative MLA, was unseated by municipal councillor Mike Allen. Both Airdrie MLA Rob Anderson and Calgary-Fish Creek MLA Heather Forsyth, who crossed the floor from the PCs to the Wildrose in January 2010, were re-elected. Here is a look at the fourteen rookie MLA’s who will be joining Ms. Smith, Mr. Anderson, and Ms. Forsyth in the Wildrose Party caucus. Wildrose MLA's Joe Anglin, Drew Barnes, and Gary Bikman. 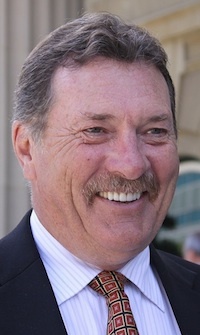 Unseated six-term PC MLA and former cabinet minister Ty Lund. 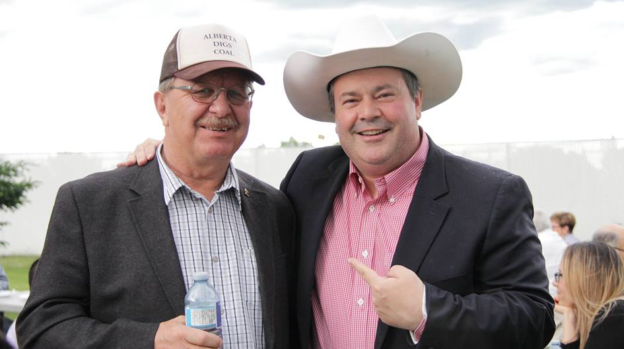 Mr. Anglin is the former leader of the Green Party of Alberta and well-known Landowners’ rights advocate. In 2007, he and the Lavesta landowners’ group were the targets of the now infamous spying scandal carried out by the now defunct Alberta Energy and Utilities Board. 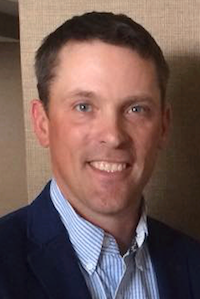 Most recently the President and CEO of an oil and gas trading company, Mr. Anglin is an ex-United States Marine, former New Hampshire police officer, and former member of the Canadian Coast Guard Auxiliary. He is married to Deborah Laing, a Minister at Rimbey United Church. Defeated two-term PC MLA Len Mitzel. Mr. Barnes is a real estate agent and co-owner of Belcore Homes, a construction company in Medicine Hat. He is the past-campaign chair and president of the Southeastern United Way. He completed a Bachelor of Commerce degree at the University of Alberta in 1983. Mr. Bikman is a business management consultant and co-founder of ChopStix International Franchising Inc, a fast food gourmet Chinese restaurant chain. He is the past-president of Speedy Heavy Hauling Ltd, an oilfield service company. Until recently he was a councillor and deputy mayor of the Village of Sterling. Mr. Bikman attended the first Reform Association of Canada (later the Reform Party of Canada) conference in Vancouver in 1987. His Facebook page lists him as having completed a Bachelor of Science degree in Psychology (1968) and Master of Business Administration (1972) at Brigham Young University. Wildrose MLA's Ian Donovan, Rod Fox, and Jason Hale. Mr. Donovan farms near the hamlet of Mossleigh. He was elected to Vulcan County Council at the age of 19 and he has served for the past 16 years, including two years as Reeve. Perceived mishandling of the nomination process which selected him as the candidate led to the entire executive board of the Little Bow Wildrose Association to resign in January 2010. Mr. Fox is a sales manager for an insurance company. From 2006 to 2007 he served as a director on the Lacombe Economic Development Board and ran unsuccessfully for Lacombe municipal council in 2007. He served as President of the Conservative Party of Canada Wetaskiwin Electoral District Association from 2007 to 2010 and was Communications Director for MP Blaine Calkins during the 2011 federal election. Unseated first-term PC MLA Arno Doerksen. Mr. Hale operates a cattle farm with his family. He was a Professional Bullfighter for 10 years and is a member of the a member of the Bassano Rodeo committee and a Director on the Bassano Agricultural Society. He completed a diploma in Chemical Technology at the Southern Alberta Institute of Technology. He also coaches for hockey and baseball. Wildrose MLA's Bruce McAllister, Blake Pedersen, and Bruce Rowe. Defeated senior cabinet minister and former PC leadership candidate Ted Morton. Originally from New Brunswick, Mr. McAllister is well-known for his time as the host of Global Television’s morning newscast in Calgary since 2004. Before moving to Calgary, Mr. McAllister was an anchor and reporter at CH Television in Victoria, BC. He also worked as a broadcaster in Winnipeg and Halifax. Mr. Pedersen has been a co-owner in an oilfield, industrial supply company since 1999. An electrical contractor by trade, Mr. Rowe was first elected to Beiseker village council in 2001 and was Mayor. He served on the board of directors of the Alberta Urban Municipalities Association representing villages and summer villages. Mr. Rowe was an AUMA representative to the Safety Codes Council. Wildorse MLA's Shayne Saskiw, Pat Steir, and Rick Strankman. Unseated three-term MLA and cabinet minister Ray Danyluk. Mr. Saskiw studied Law at the University of Alberta with MLA Rob Anderson and practiced law in Vegreville. He was named one of “The Next 10” by Alberta Venture magazine in 2010. Mr. Saskiw served as Vice-President (Policy) of the PC Party from 2008 until January 2010, when he joined the Wildrose Party. He later served as executive director of the Wildrose Party. Unseated first-term MLA and cabinet minister Evan Berger. Mr. Stier lives on his family’s ranch near DeWinton and is the President of River Canyon Enterprises Inc., which provides planning services for land use and development applications to rural land owners. He served one term on the municipal council of the M.D. of Foothills from 2004 to 2007. He was a member of the PC Party Board of Directors in Highwood from 2006 to 2009 and in 2010 became the President of the Wildrose Alliance association in that constituency. Between 1988 and 1999 he served as President of the Dunbow Road Area Residents Association. Unseated cabinet minister Jack Hayden. Mr. Strankman owns a cattle ranch and grain farm near Altario. He is the past Treasurer of the Western Barley Growers Association and is an anti-Canadian Wheat Board activist. In 1996, he was fined $1000 for taking his own wheat in his grain truck and driving it across the Canadian border into the United States. In 2000, Mr. Strankman was an unsuccessful candidate in the Canadian Wheat Board elections and in 2002 he was fined $7,500 and faced 180 days in jail after taking 756 bushels of wheat across the American border and sold it (he only served a week in jail with four other rebel farmers). Wildrose MLA's Kerry Towle and Jeff Wilson. Defeated three-term PC MLA and former cabinet minister Luke Ouellette. Ms. Towle is a real estate broker and was executive assistant with the now-dissolved David Thompson Health Region. She ran a turkey farming operation with her husband for five years. She attended Reeves Business College in 1992 and 1993. Defeated appointed PC candidate Farouk Adatia. Mr. Wilson is an account executive at the audio-visual equipment company AVW-Telas. He studied business and broadcasting at Mount Royal College (now Mount Royal University). This entry was posted in Alberta Politics and tagged Arno Doerksen, Blaine Calkins, Blake Pedersen, Bruce McAllister, Bruce Rowe, Danielle Smith, Deborah Laing, Drew Barnes, Evan Berger, Farouk Adatia, Gary Bikman, Guy Boutilier, Heather Forsyth, Ian Donovan, Jack Hayden, Jason Hale, Jeff Wilson, Joe Anglin, Kerry Towle, Len Mitzel, Linda Johnson, Luke Ouellette, Mike Allen, Pat Stier, Paul Hinman, Ray Danyluk, Rick Strankman, Rob Anderson, Rod Fox, Shayne Saskiw, Ted Morton, Ty Lund on April 30, 2012 by Dave Cournoyer. the day after: alberta election analysis. What was expected to be the most exciting provincial election in history of our province turned out to be a continuation of the 41-year old Progressive Conservative dynasty. The pollsters, the media, and the pundits (including this blogger) appear to have completely misjudged the electoral climate in the final days of the election. 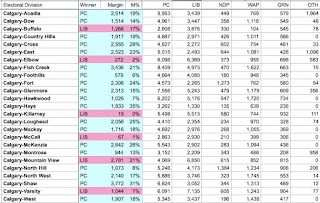 It appears that the PC Party call to moderate voters to vote strategically to block the Wildrose Party from forming government was successful in Calgary, Edmonton, and northern Alberta. While the Tories ran a completely lacklustre campaign, Albertans’ unease with the thorny social conservative views of Wildrose candidates Allan Hunsperger and Ron Leech undoubtedly drew moderates to cast their ballots for the PCs yesterday. 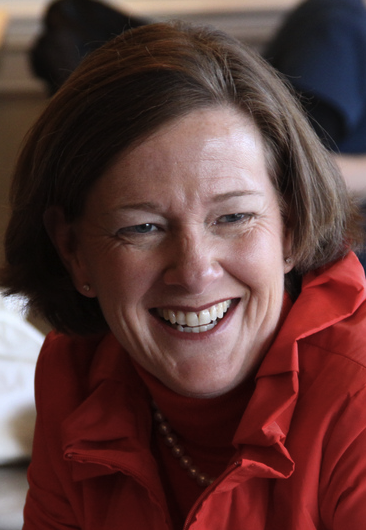 At least for now, Premier Alison Redford is secure in her position as leader of the PC Party. The PCs have re-elected a number of veteran MLAs, including Dave Hancock in Edmonton-Whitemud, and a new cast of rookie MLAs who will amount to about 1/3 of the governing caucus. The golden rule of Alberta elections remains truth: never bet against the incumbent. The Tories have lost many of their former strongholds in rural Alberta and cabinet giants, including Ted Morton in Chestermere-Rockyview, Evan Berger in Livingstone-Macleod, Jack Hayden in Drumheller-Stettler, and Ray Danyluk in Lac La Biche-St. Paul-Two Hills. Successful use of wedge issues like property rights likely played a significant role in the Wildrose winning these rural constituencies. With 17 MLA’s, Danielle Smith‘s Wildrose Party will form the Official Opposition in the Assembly. Ms. Smith’s challenges are two-fold. First, she must manage the expectations of disappointed caucus members who expected to be sitting in the government benches. Second, she must form a cohesive opposition consisting of mostly rookie MLA’s (including herself). Two of the Wildrose Party’s four incumbent MLA’s were defeated last night. 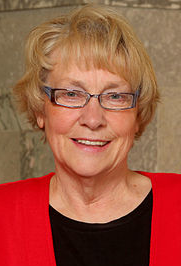 Only MLA Heather Forsyth in Calgary-Fish Creek and Rob Anderson in Airdrie were re-elected. The Wildrose caucus is almost entirely made up of MLA’s from southern rural Alberta constituencies, which breaks from the almost three decade-long tradition of urban-based Liberal or NDP official oppositions. This will be the first time since the Social Credit Party formed official opposition in 1971 that a large caucus of rural MLAs are the official opposition. Despite signs of a wave early in the campaign, the Wildrose Party only elected two MLA’s in Calgary, including Ms. Forsyth and Jeff Wilson, who defeated PC appointee candidate Farouk Adatia in Calgary-Shaw. “It was a miracle that we survived” was Liberal Party leader Raj Sherman‘s comment on CBC Radio this morning. The Liberal Party elected five MLA’s last night, losing official opposition status for the first time in nineteen years. The Liberal vote collapsed across the province to 10% and the party lost long-time Liberal voting constituencies Edmonton-Gold Bar, Edmonton-Riverview, and Calgary-Varsity to the Tories. The NDP probably have mixed feelings this morning. NDP leader Brian Mason ran a smooth campaign and his party has gained official party status by adding former MLA David Eggen from Edmonton-Calder and Deron Bilous from Edmonton-Beverly-Clareview to their caucus, but they are still one MLA smaller than the Liberals, who many New Democrats had hoped to surpass. There are some pretty disappointed people in the Alberta Party camp this morning. Their hopes for electing an MLA were dashed, but the party earned 17,144 across the province, which leaves them with something to build on for the next election. This entry was posted in Alberta Politics and tagged Alison Redford, Brian Mason, David Eggen, Deron Bilous, Evan Berger, Farouk Adatia, Heather Forsyth, Jack Hayden, Jeff Wilson, Maurice Tougas, Raj Sherman, Ray Danyluk, Rob Anderson, Ted Morton on April 24, 2012 by Dave Cournoyer. Here is a preliminary list and map of MLAs who are supporting candidates in the 2011 Alberta Progressive Conservative leadership contest. Please comment below or send me an email at david.cournoyer@gmail.com if there are additions or subtractions to be made to this list. 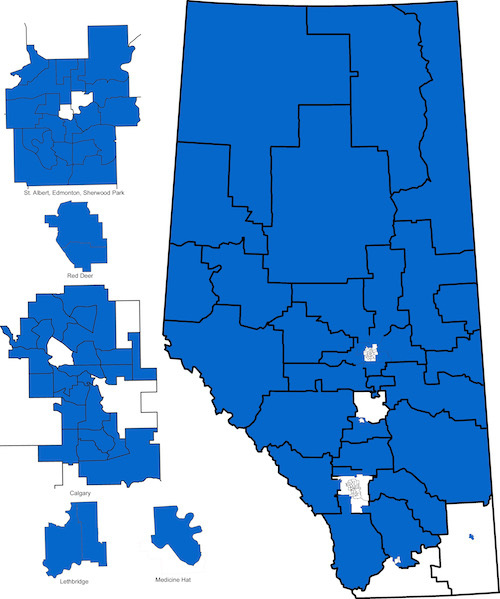 Map of MLA support in the 2011 Alberta PC leadership contest. This entry was posted in Alberta Politics and tagged Alison Redford, Broyce Jacobs, Carl Benito, Dave Quest, Dave Rodney, David Xiao, Diana McQueen, Doug Elniski, Doug Griffiths, Doug Horner, Evan Berger, Frank Oberle, Gary Mar, Genia Leskiw, George Groenveld, George Rogers, Greg Weadick, Heather Klimchuk, Hector Goudreau, Jack Hayden, Jeff Johnson, Jonathan Denis, Ken Kowalski, Kyle Fawcett, Len Mitzel, Lloyd Snelgrove, Luke Ouellette, Mel Knight, Moe Amery, Ray Danyluk, Ray Prins, Rick Orman, Ron Liepert, Ted Morton, Thomas Lukaszuk, Tony Vandermeer, Wayne Drysdale on July 14, 2011 by Dave Cournoyer. doug horner reminds albertans that he is still running for premier. Alberta Progressive Conservative leadership candidate Doug Horner held a media conference on the steps of the Legislative Assembly building in Edmonton today. The presser was billed as a launch of his “Enhancing Education” policy framework and his plan to “unite the PC Party,” but in reality it was used as an opportunity to remind the media that despite the attention-making campaigns of Alison Redford and Gary Mar, Mr. Horner is still in this race. Included in the “Accessible Leadership” section of today’s policy framework release was the promise that as Premier, Mr. Horner would dissolve the Chief of Staff position and create “regional liaison officers” in its place “to ensure that MLA`s, Cabinet Ministers and stakeholders have direct access to the Premier.” This is a subtle shot at Premier Ed Stelmach‘s Chief of Staff Ron Glenn, who’s “gatekeeper” tendencies led to much frustration and resentment among PC MLAs over the past four years. Standing behind Mr. Horner during the media conference were a group of MLAs endorsing his candidacy. 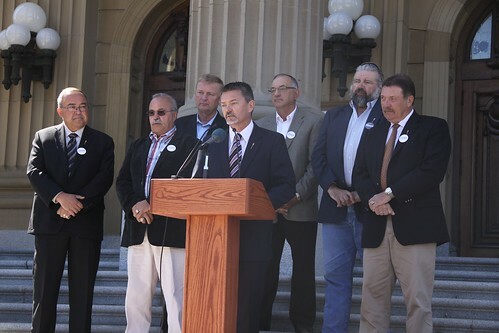 Many of these rural MLAs made up the core of Premier Stelmach’s caucus support in his 2006 leadership bid, they include Lac La Biche-St. Paul MLA Ray Danyluk, Grande Prairie-Wapiti MLA Wayne Drysdale, Dunvegan-Central Peace MLA Hector Goudreau, Drumheller-Stettler MLA Jack Hayden, Innisfail-Sylvan Lake MLA Luke Ouellette, and Peace River MLA Frank Oberle. Mr. Horner also has the endorsements of Bonnyville-Cold Lake MLA Genia Leskiw and Strathcona MLA Dave Quest. These endorsements will make it easy for his opponents to make comparisons between Mr. Horner and to the unpopular Premier Stelmach, but these comparisons would be misguided. Mr. Horner is a sharp mind and is a much better public speaker that the current occupant of the Premier’s office. 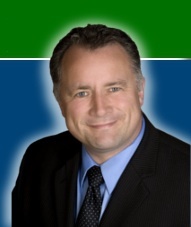 Mr. Horner is a former Deputy Premier and has served as the MLA for Spruce Grove-Sturgeon-St. Albert since 2001. He is the son of former Deputy Premier Hugh Horner. This entry was posted in Alberta Politics and tagged Alison Redford, Dave Quest, Doug Horner, Ed Stelmach, Frank Oberle, Gary Mar, Genia Leskiw, Hector Goudreau, Hugh Horner, Jack Hayden, Luke Ouellette, Ray Danyluk, Ron Glenn, Wayne Drysdale on July 4, 2011 by Dave Cournoyer. pc leadership candidate doug horner announces mla endorsements. 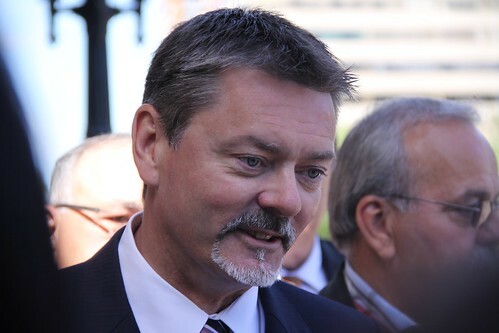 Alberta PC leadership candidate Doug Horner on the steps of the Legislative Assembly Building on July 4, 2011. Standing behind him are MLA supporters Frank Oberle (Peace River), Luke Oullette (Innisfail-Sylvan Lake), Wayne Drysdale (Grande Prairie-Wapiti), Hector Goudreau (Dunvegan-Central Peace), Ray Danyluk (Lac La Biche-St. Paul), and Jack Hayden (Drumheller-Stettler). See my Flickr page for more photos of today’s media conference with PC leadership candidate Doug Horner and his MLA supporters. This entry was posted in Alberta Politics and tagged Doug Horner, Frank Oberle, Hector Goudreau, Jack Hayden, Luke Ouellette, Ray Danyluk, Wayne Drysdale on July 4, 2011 by Dave Cournoyer. If a week in politics is an eternity, then Alberta's Progressive Conservatives have been in office since the Jurassic Era. The Alberta PCs are struggling to shake off the emerging political narrative that they are next Social Credit dynasty. After 36 years in office, Social Credit collapsed under the weight of its own Byzantine-antiquity when its era came to an end in 1971. The apparent rise of the Wildrose Alliance since last Fall has become a dominant theme in the media and there has been continuous speculation that the current political establishment may be facing its strongest challenge in decades. It will take more than just a change of characters to change politics in Alberta. Supporters of the current political establishment will praise the government for holding traveling consultation meetings and online surveys, but a top-down style of governance is engrained in the current political culture. Transportation Minister Luke Ouellette told Alberta’s municipalities two years ago that a $2 billion Green Trip fund would be created to support urban public transportation projects. Two years later, Minister Ouellette told the municipalities that they will still not get access to the Green Trip funds until they come up with something “innovative.” City of Airdrie Mayor Linda Bruce told the Calgary Herald that “[n]obody has heard anything” about when or if the funds will be distributed. Alberta’s cities need build the kind of transportation infrastructure necessary to deal with the realities of urban growth. In June 2008, then-Infrastructure Minister Jack Hayden announced the construction of a 650-car parkade near the Alberta Legislature (along with around $200 million to renovate the long-empty federal building). Instead of encouraging more single-occupant vehicle traffic into the already congested downtown core, it would have been much more “innovative” for the province to have worked closer with the City of Edmonton to develop of better strategy in fitting the Government Centre buildings into the city-wide public transportation plans. As the Tory ‘Political Minister for Edmonton‘, Education Minister Dave Hancock is playing defence on teacher layoffs in Calgary and Edmonton. In a recent blog post, Minister Hancock called on the Public School Boards in the province’s two largest cities to stop the layoffs, claiming that they do not need to happen. This is a symptom of the dysfunctional relationship that has evolved between the Provincial Government and the elected School Boards. Every three years, School Board Trustees are elected under a more specific mandate than a provincial government, which has its own political agenda (and controls the purse-strings). Crying “tough economic times,” as Minister Hancock did in his blog post, is a tired argument for a Cabinet that can afford to easily drop $200,000 on an oilsands public relations campaign. It is one thing to send Cabinet Ministers across the province to meet with pre-selected groups, but it is something completely different to change the culture of politics and prove that these meetings were more than just political lip-service. It is likely not intentional or malicious. It just might not be reasonable to expect actual open governance from political leaders who have become accustomed to wielding their large majority in the Assembly like a giant stick. At the New Kids on the Politics Block event earlier this month, I had the chance to speak with Danielle Smith for about half-an-hour. I am not sure if she has what it takes to change Alberta’s political culture, but I was thoroughly impressed with how engaged and interested she was during our conversation. In a political discussion she can speak confidently and in full sentences. It is impossible to predict the results of the next election or when Albertans will elect a new party to office. It is becoming more evident that a growing number of Albertans are becoming cynical of the same old-style political culture. It might be in 2011, or maybe in 2015, but it is only a matter of time before a big meteor smashes through. Who knows what will survive when the dust settles? The theme of this post was inspired by Jurassic Forest, which is currently under construction near Gibbons, Alberta. This entry was posted in Alberta Politics and tagged Danielle Smith, Dave Hancock, Jack Hayden, Linda Bruce, Luke Ouellette, Mel Smith on June 21, 2010 by Dave Cournoyer. While speaking to the Alberta Association of Municipal Districts and Counties this week, Premier Ed Stelmach confirmed the obvious when defending his government’s decision to increase the number of constituencies in the next election: it was in order to preserve the existing number of rural constituencies in the Legislative Assembly. This decision continued the over-represention of rural Alberta ridings in the Assembly, despite rapid growth in the urban centres. With a few exceptions, the PCs have been able to rely on non-competitive electoral districts in rural Alberta since wiping out the Social Credit rump in 1975. Over the past 39-years, the PCs have relied heavily on rural politicians as a “farm team” to replenish their ranks of rural MLAs (some now include Premier Stelmach, and Ministers Jack Hayden, Iris Evans, Ray Danyluk, Lloyd Snelgrove, Mel Knight, and MLAs Wayne Drysdale, Broyce Jacobs, Richard Marz, and Len Mitzel). The PCs have dealt with competitive elections in the two major urban areas (Edmonton and Calgary), but the threat of a Wildrose insurgency across Alberta would be cause for great concern and is likely the reason behind Premier Stelmach’s posturing over rural over-representation. This entry was posted in Broyce Jacobs, Ed Stelmach, Iris Evans, Jack Hayden, Len Mitzel, Lloyd Snelgrove, Mel Knight, Ray Danyluk, Richard Marz, Wayne Drysdale and tagged Broyce Jacobs, Ed Stelmach, Iris Evans, Jack Hayden, Len Mitzel, Lloyd Snelgrove, Mel Knight, Ray Danyluk, Richard Marz, Wayne Drysdale on March 19, 2010 by Dave Cournoyer.